MIKE RABINOWITZ – Bassoon (www.jazzbassoonist.com) For over thirty years Mike Rabinowitz has been on the cutting edge as a versatile bassoonist. His broad musical experience makes him as comfortable with Bach and Mozart as he is with Charlie Parker, John Coltrane and Ornette Coleman. He has recorded with Ira Sullivan, Red Rodney, Wynton Marsalis, John Hicks, Dave Douglas, Chris Potter and Joe Lovano. His festival appearances include Chicago, Montreal, Berlin, Tanglewood, Newport, San Francisco and Hollywood Bowl. Michael is a regular member of The Charles Mingus Orchestra in NYC and can be heard regularly at the Jazz Standard with this ensemble. This orchestra recently performed at the Tanglewood Jazz Festival and St. Barts Church in NYC under the baton of Gunther Schuller. His own quartet Bassoon and the Wild has performed at the Chatauqua Institute, Vanderbilt Planetarium, Frick Museum, JVC Jazz Festival, Penn State, Kavehaz and other venues in NYC. Ocean Eyes is Mike’s 5th CD documents the development of his quartet with mostly original compositions. Buffet Group/Schreiber Bassoons has been Mike’s sponsor for the past eleven years and has supported his efforts in participation in Bassoon Master Classes at the International Double Reed Society conferences, New England Conservatory, and Birmingham Conservatory. Recently Michael has been awarded a grant from Chamber Music of America in collaboration with French oboist Jean Luc Fillon and released their CD On the Reed Again. This past year Mike participated in Bob Beldon’s Miles Espanol The New Sketches of Spain and The Gil Evans Centennial Project recording just released this May with performances at the Jazz Standard and the Newport Jazz Festival this August. 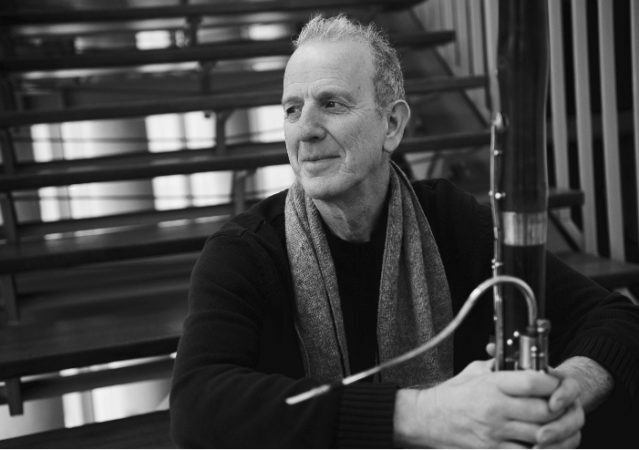 Over the years Mike provides inspiration to bassoonists and musicians the world over as a pioneer in improvisation on the bassoon.Michael is a Buffet Group USA artist who plays exclusively on Schreiber bassoons.